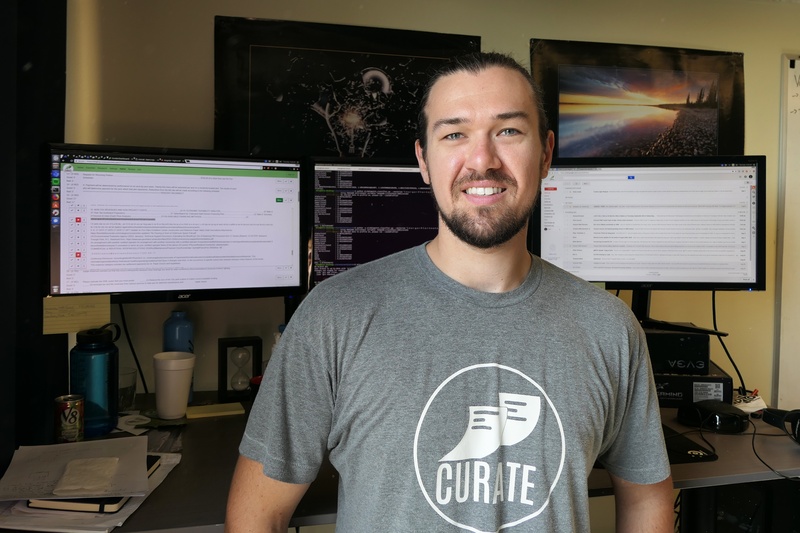 I’m the Chief Technical Officer (CTO) at Curate. I work with our customers and employees to design and implement the long-term vision of the product. After the design is laid out, I also write the software and work with the rest of the development team to make sure we are creating the best product that we can. You’re a professionally-trained chef, what made you pursue a degree and academic research in computer science before starting Curate? It wasn’t an easy choice, and I love working in kitchens, but I’ve always been a huge nerd and super curious about everything. As I started to dive deeper into culinary I realized that many things we were learning about have been established for hundreds of years because that is the best way to do it. I wanted to work in a space that didn’t have an established “best way to do it” for everything, and that to me was computer science. What is unique about being a software developer for a startup compared to an established company like Google? I have seen both sides of this since I have worked for several startups and several large companies as well. I would say the biggest thing about working for a smaller company is how dynamic and nimble everyone needs to be. On a daily basis I might write programs in three to five different languages, because that is what is required to get the job done. Whereas working for a large established company, you only ever see a very small component that you make as perfect as you know how. That is a difficult question! Even if I plan out my days they don’t always end up the way I think they will, but I’ll give it a try. We start with our morning standup meetings where we see what everyone is up to for the day, from there if there are any high priority tasks I always try to work on those, which could be a feature request from one of our customers, or something internal that our team needs. After those tasks are out of the way, I focus on building features for the product, whether it is our website, our internal processes, our gathering software or something related to our artificial intelligence models. What is your favorite and/or most challenging feature you’ve built for Curate? My favorite feature would have to be our customer-facing website. It is very rewarding to see our customers use the website and even start to see them use the site in ways that we didn’t plan for initially. Our most challenging feature would have to be what I call our “extractor”, which is a system I designed to take any website or PDF document and convert it into a standardized format that is easy to search through for our customers. 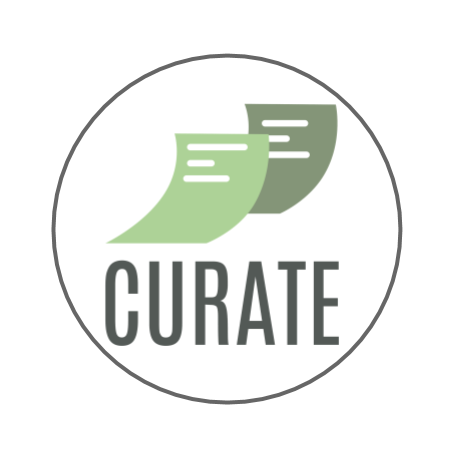 How influential is the feedback of customers in improving Curate? Our customers’ feedback is probably the single most important thing that we have to help improve our product. I learned a long time ago that you should never build a product in “isolation”, meaning that we should always build a small version of a feature and then see how people react to it. Our customers’ reactions are what help us design future features. What skills and/or experiences have you taken from the kitchen to Curate? I would say there are a few major things I took away from culinary school: Preparation, also called “mise en place” — much of high-end cooking is creating many small components that end up being the final product, and seeing the vision of what it can look like when all you have is raw material in front of you is a learned skill. The second major skill I took from culinary school is the ability to multitask. When working in a kitchen, if you aren’t doing five things at once then you are moving too slowly. This is a skill I built up over the years in kitchens and I use it every day when designing our product and all the interworking pieces that need to come together at the right time. What drives you to continue doing what you do everyday? There are two major things that drive me today: 1) Working with our customers to build features into our existing system to improve it and make it awesome, and 2) thinking about future ideas and seeing where new, cutting-edge technology can take us to build a better product for the future.